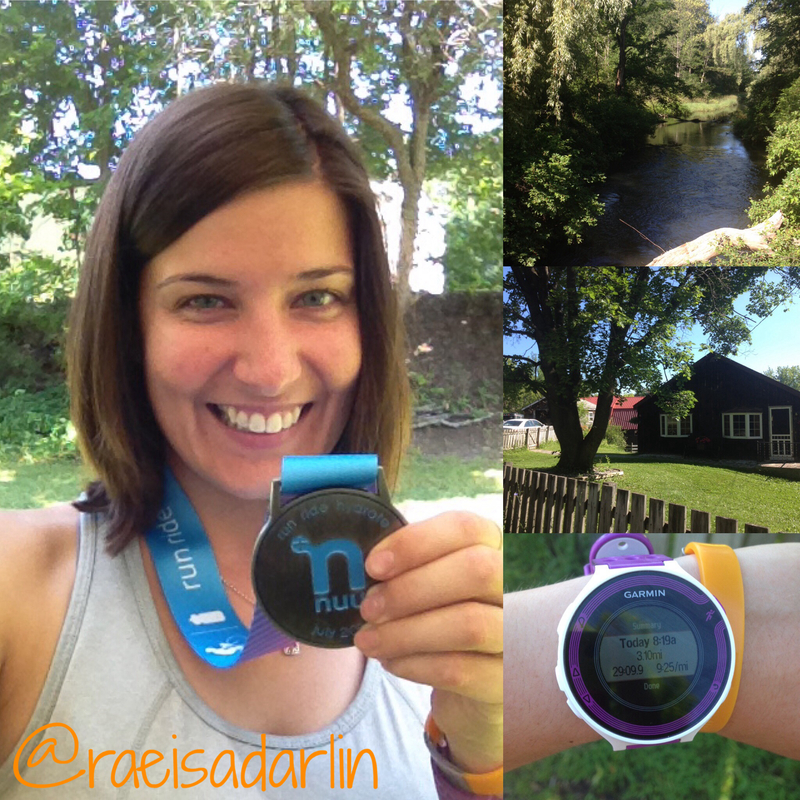 As a Nuunbassador, I had the opportunity to participate in the Nuun #RunRideHydrate Virtual race. They were offering various running distances as well as cycling distances. I knew I was going to be in Massachusetts for the holiday weekend, so I decided to go with the 5k option. Packet “pickup” was super easy–they mailed the swag kit right to my house! 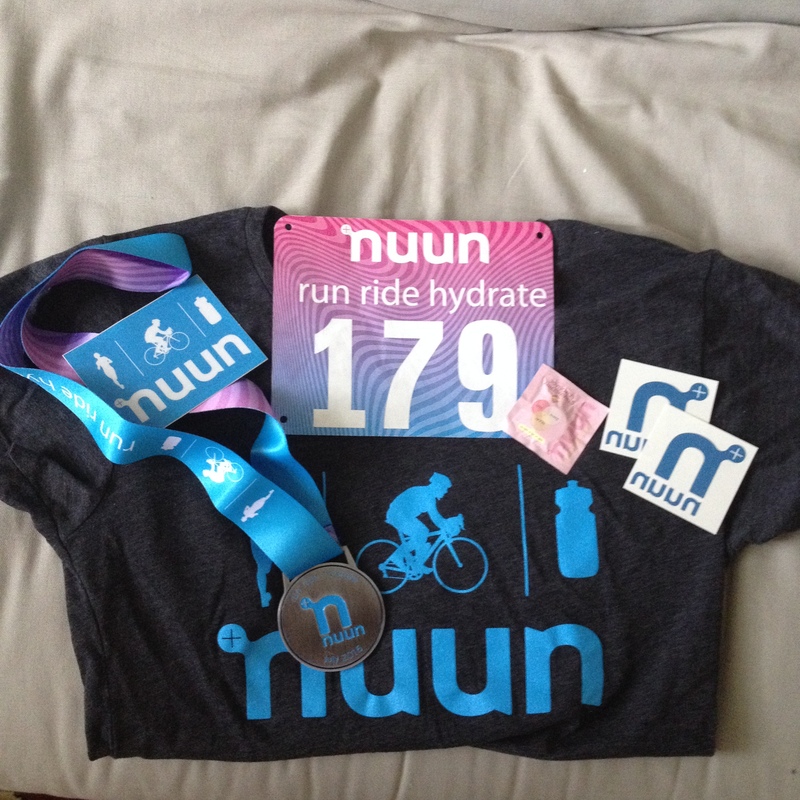 I got a super soft t-shirt, a race bib, medal, two Nuun temporary tattoos, a Run Ride Hydrate sticker, and an individual tab of Nuun for hydration on the go. I’m actually shocked I dragged myself out of bed as early as I did. I worked all day Thursday, then drove 3.5 hours to MA, then had a couple of beers and stayed up late. But after 8 hours of sleep, I guess I was ready to go. It was a beautiful morning, and after a glass of orange juice (yes, this was my only “fuel”), I hit the pavement. This run was so much fun for me. Pittsfield is where my family lived for 6 years before we moved back to Vermont, so I have a LOT of memories of the neighborhood I ran through. So many of the houses I passed I had played in, because friends used to live there. I ran past the river where we used to catch crayfish and frogs. I ran past the nursery where we used to flip over rocks to find garter snakes. I ran past the street where I’d cut through yards and trees to get to my friend Amanda’s house; if I took roads, I’d be “out of bounds” according to Mom rules, so I had to find a nontraditional way to get there. I don’t think I stopped smiling the entire run. Somehow, I managed to pull out a time of 29:09, which is only 16 seconds off my PR. I have no idea how that happened, but I’m not going to complain about it. Nostalgic race FTW! 🙂 That’s so awesome that you did your run through your old neighborhood. And congrats on the great time! Nope, I have not done a virtual race–one day soon, perhaps. I have but not in a while. I can’t get motivated to run well by myself. I need a crowd. I totally understand–I usually run faster at actual races. OMG I would have loved that! Congrats! I never did a virtual race but this sounds so cool! The swag definitely made it worth it. I also forgot to mention that part of the proceeds went to Girls on the Run! Thanks for being part of Run Ride Hydrate! The inspiration and enthusiasm throughout the event was an awesome sight to see. Without a doubt, #nuunlove was out in full force this 4th of July weekend! I had a blast–thank you so much for making it possible! I had never heard of virtual races but that is awesome! Great race time! Thank you! Virtual races are great motivators to get training runs done. What a great virtual race to do where you used to live! Awesome job on your time! I think it’s cool that nuun had a virtual. I like the swag. It was a great swag kit, for sure! I want to do a Doctor Who race!!! I applied some time last fall, and was accepted into the program. I’d look at the website to see when they’ll be accepting applications again! Not quite a PR, but close. Thanks! Awesome job! Looks like it was a beautiful day out. All that swag is pretty awesome! It was an absolutely gorgeous day, that’s for sure!